Decoration White & red design covering most of car. "A" on roof. 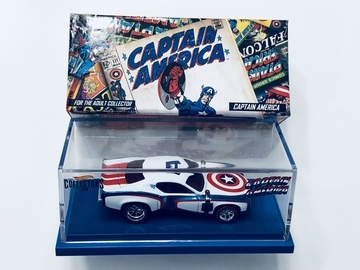 Captain America shield on hood. 3 red stripes on trunk. Brown & silver belts & buckles on front fenders. Detailed headlights & taillights. Silver rear bumper. White rear license plate with red "America" & blue "C A P."